For 2017, I was proud to be able to do a “What Wendy Wore” year in review post featuring 12 slow-fashion outfits. In 2018 — despite Henry David Thoreau’s famous “… beware of all enterprises that require new clothes” — some of my most notable looks did require something new. 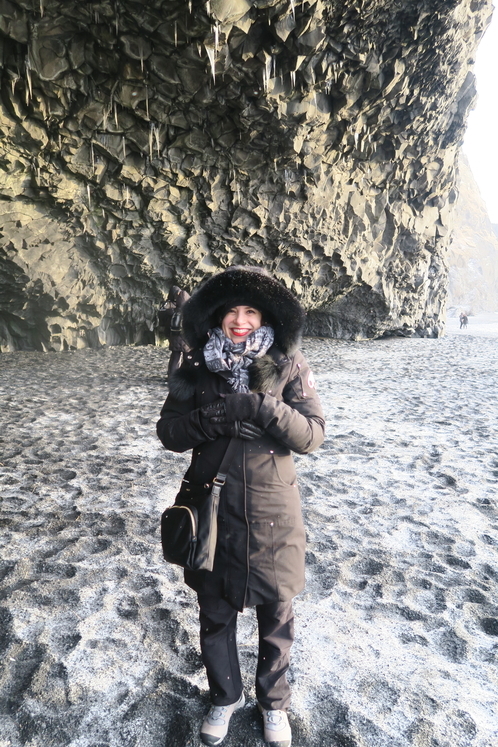 I mean, I normally don’t hang out on beaches in Iceland in January. I had to do some shopping for that! A lot of pieces were purchased in December 2017 for this trip. Click for the deets! 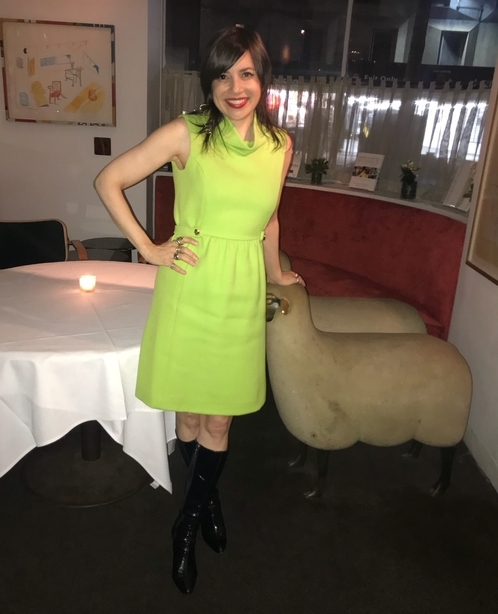 I got back into the slow-fashion groove for a couple of occasions in February, including the Columbia Spectator’s annual fundraising dinner. Zang Toi dress from 2009 — click to see past outings. 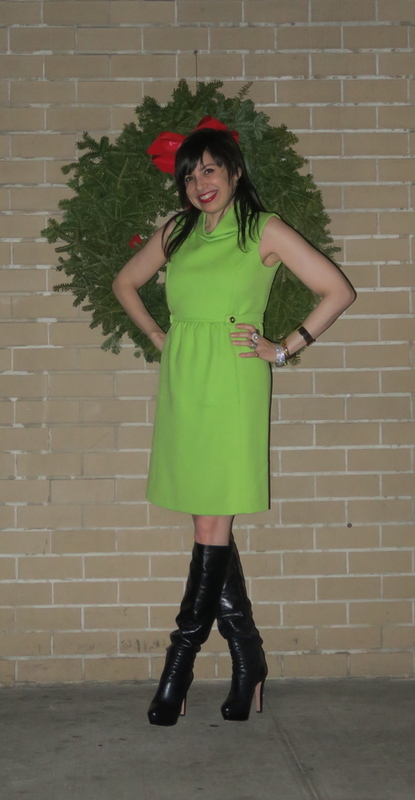 March was even a “double-vintage” month, seeing as I bought this vintage Jacques Tiffeau dress in 2009. I used to hate the color green. A loooong time ago. I’ve pretty much worn the same pieces to each Coachella I’ve been to, and this April was no exception. No point in overthinking outfits when you’re facing a 12-hour wait for the front row! Now that I think of it, it’s a little funny to wear a label called “Libertine” to a wedding, isn’t it? But that’s what I did in May. It was a chilly day, so I dressed for fall! In June, I was at the Couture jewelry show in Las Vegas. I posted the photo in July, but it was taken in June, I swear! 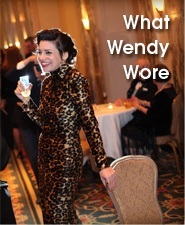 Honestly, I’m not happy with the head-to-toe photo of the beloved Versace dress I wore to the Women’s Jewelry Association Awards in July. I’m not even sure why I posted that, unless it was to encourage myself to get back to the gym. Let’s look at the top of it in this video instead. I attended a wedding celebration at the Metropolitan Museum of Art in August. I wore vintage Zandra Rhodes but the friends you see in this photo definitely won the slow-fashion challenge. Ancient Egyptians for the win. The retailer Henri Bendel was once among the top New York department stores, but this September it announced it would close after the holiday season. 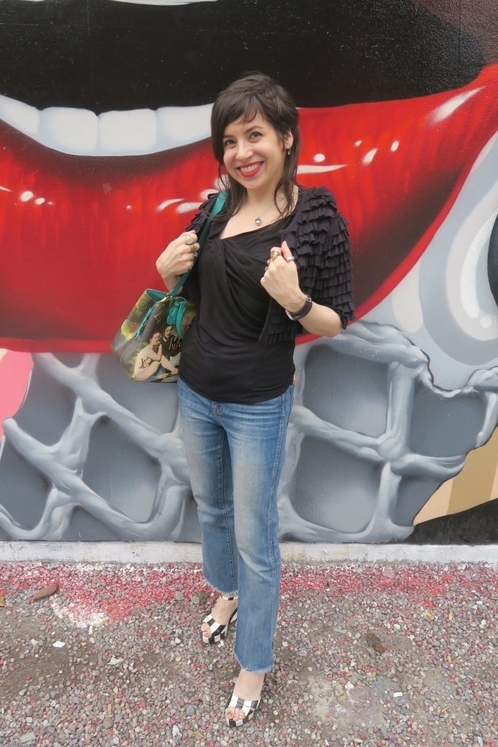 That inspired me to get out the ruffled, cropped jacket I bought from Bendel’s 10 years ago. I wore this to go get my ear pierced AGAIN. 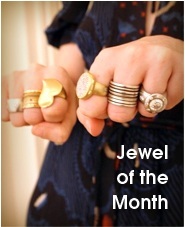 October featured some shiny, happy homegrown vintage. No Halloween costume though! I spent Halloween writing postcards to voters ahead of the midterm elections. 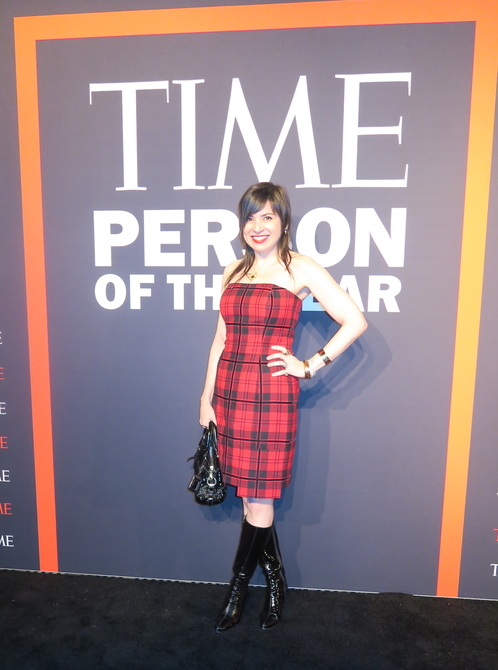 I wore a new-to-me vintage Scaasi dress to November’s International Press Freedom Awards for the Committee to Protect Journalists. My last purchase from Allan & Suzi! The lighting is all kinds of weird here. 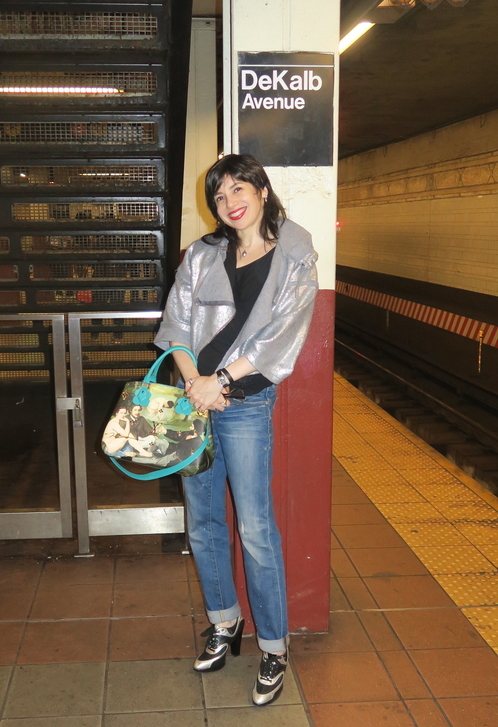 … and, for my birthday, the vintage Jacques Tiffeau from March’s outfit post. 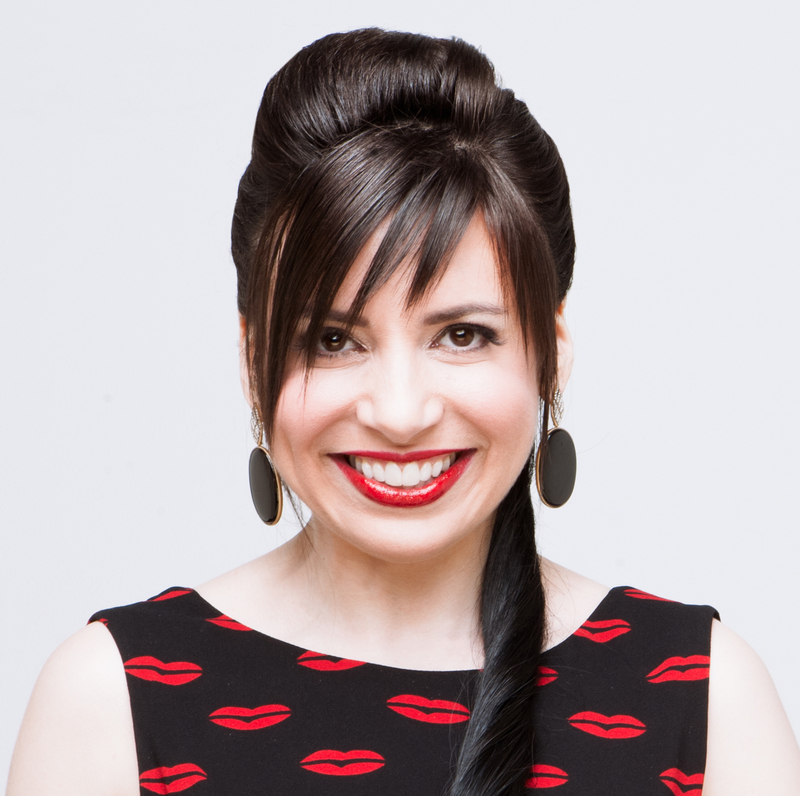 I’m not wearing a JoJo bow in my hair – that’s the wreath behind me! Now you can see that I don’t wear the old pieces just once a year! Whatever you wear for New Year’s tonight — whether that’s a puffy dress or pyjamas — have a great time! Some fab looks here! Hurray for Slow Fashion!